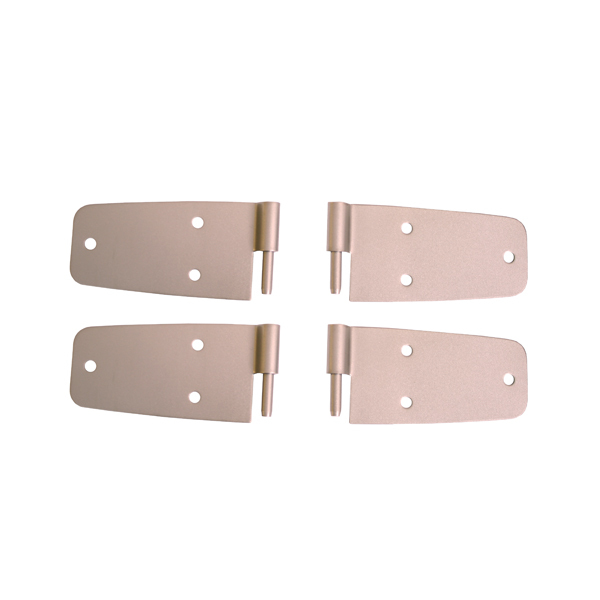 DOOR HINGE SET, SATIN STAINLESS, 76-93 CJ / WRANGLER WITH FULL DOORS - Jeep Parts Guy - All the Jeep Parts You Need! The hottest new look for today's deep colored vehicles! This exciting new finish features a smooth new look professionally etched into prime 304 Stainless Steel. This special jewelry like finish is the perfect complement to Jeeps' rich 304 Stainless Steel. This special jewelry like finish is the perfect complement to Jeeps' rich vehicle colors. All Satin Accessories feature stainless hardware, a sandblasted and coated finish for long life and carry a limited lifetime warranty. Includes 4 door hinges and all necessary hardware.